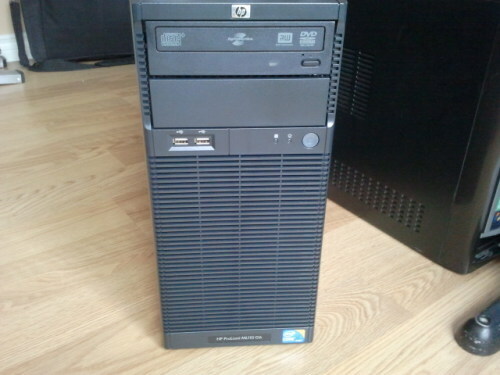 Setting up a new HP Server ML110 G6 for a customer. Setting up a new HP Server ML110 G6 for a customer. This has to be the plainest generic server I’ve seen for a while. However I know it will do a great job for an office of 5 as their main Windows 2008 Server. Be the first to comment on "Setting up a new HP Server ML110 G6 for a customer."